Hi all! 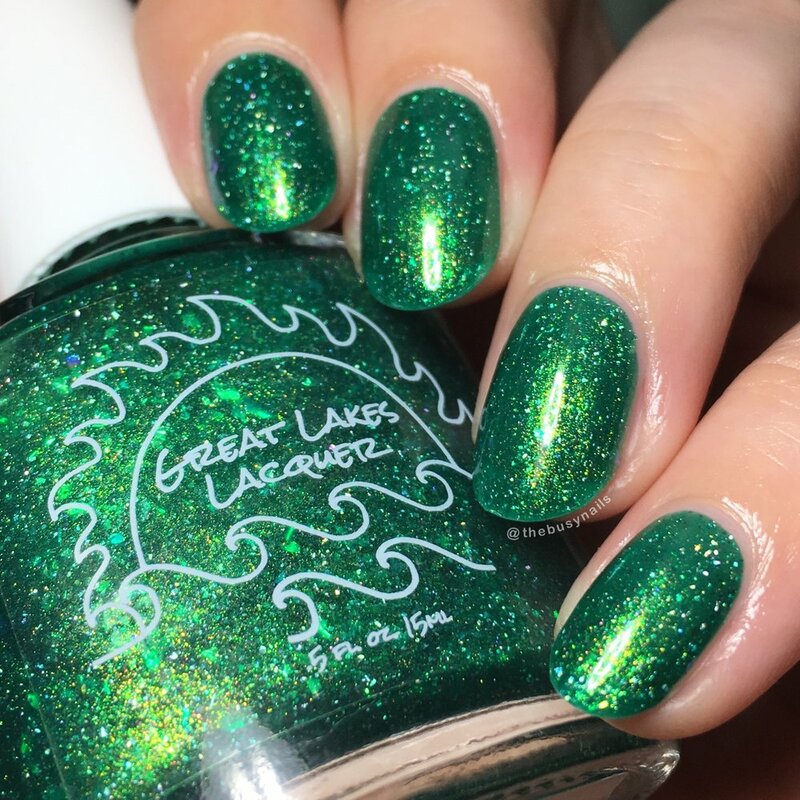 Great Lakes Lacquer is one of several brands working with HHC to release monthly exclusives based on a recurring maker-chosen theme. GLL has chosen The Lord of The Rings, and today I have "To The Very Fires Of Mordor" to share with you all. Available June 14th, 2018 through June 21st, 2018. 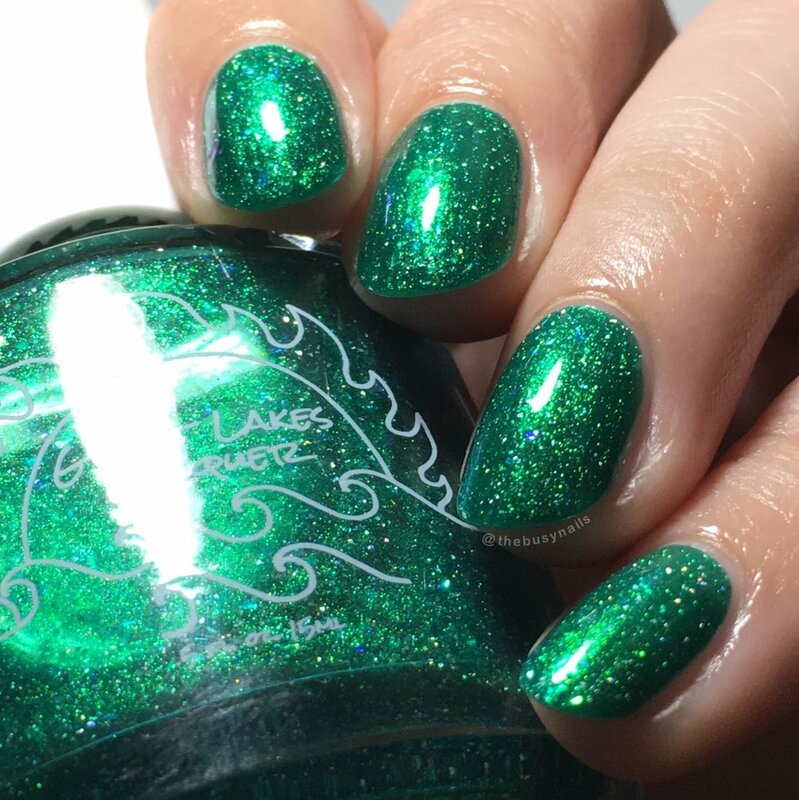 Maker description: an emerald green jelly filled with holo micro flake, shimmer shifting from green to gold to blue with iridescent flake that highlights the blue and green shifts. My thoughts: Great formula, as always. 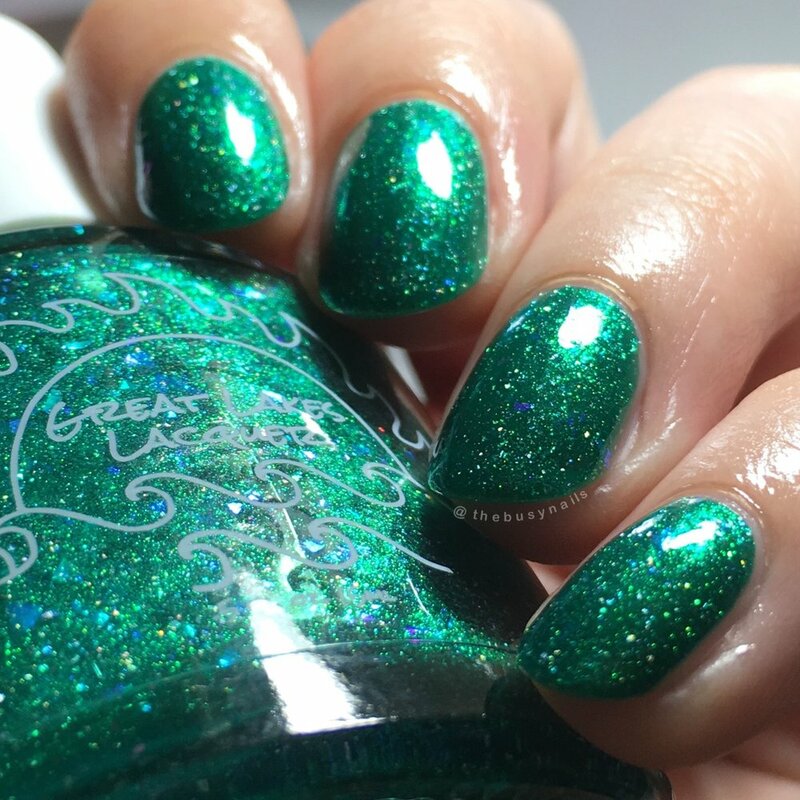 This is such a pleasant, glowing green that I think will compliment a variety of skin tones. 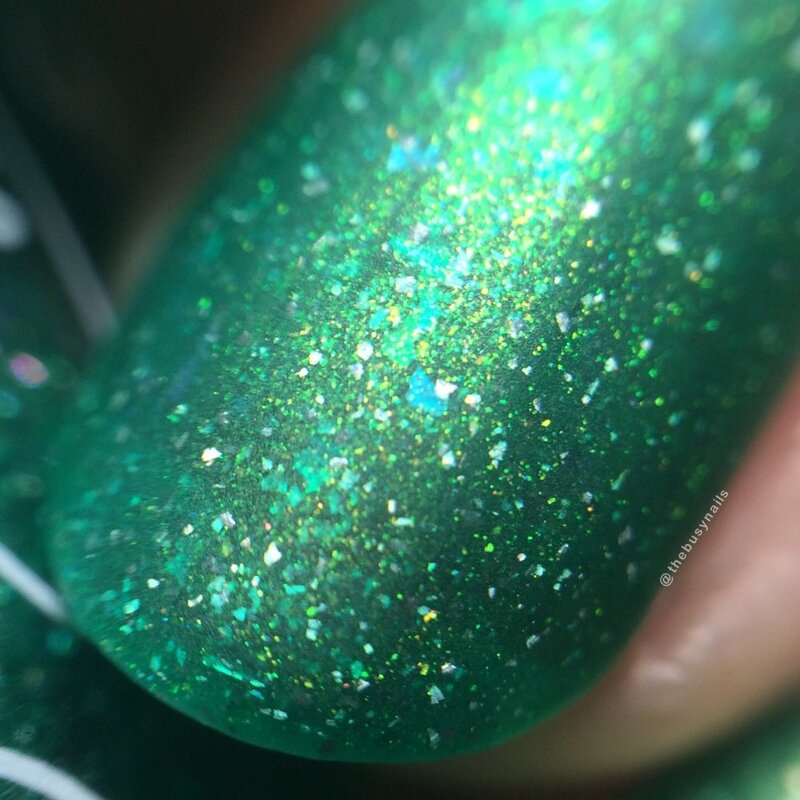 I especially love when the shift leans blue/teal, giving it a very unearthly look. Although I feel my photos are pretty color accurate, it's definitely *more* in person - shinier, sparklier, more glowing and just better. You can purchase "To The Very Fires Of Mordor" in the Hella Handmade Creations shop, June 14 - 21.